By the time I was in grade 10 I was an experienced cadet drummer at boarding school. From being born on the stock route in western Queensland during WW2, and my family wandering the bush for the first 17 years of my life, I regret to advise that any chance of me being a child prodigy (whatever that means) was never going to happen. At the age of 17 I began my work career in a bank, sport became my passion, and playing drums (I was pathetic) in the supper breaks at weekend dances was an adrenalin rush I had never experienced. At the age of 19 I was spotted at such a function by the Webb Brothers at Cooroy and they asked me to play with the group. This was a shock to the system, to say the least. The Webb Brothers were already local legends … and I had never even heard of them! However, this invitation set me off on a very fast music learning curve. What I knew about folk and country and jazz performers was almost nil, but I did seem to have this uncanny ability as a drummer, by instinct, to “fill out” other performers’ efforts on stage. And so it began. During the 1960s I was fortunate to be guided in my music endeavours by many wonderful musicians and entertainers and I will be forever grateful to them. In fact my involvement with music (playing professionally in Sydney) during the late 1960s and early 1970s enabled me to earn money to boost our family coffers which in turn enabled me to complete my accountancy studies. Joan and I (and four children / what happened there?) moved back to Brisbane in 1973, I again joined up with the Webb Brothers, and so began the busiest 10 years of music in my life. The group really then hit its straps and won Australian recognition twice with Gold Guitar wins in 1976 and 1982. We travelled all over Australia with our music, recorded many radio jingles, recorded more LPs, appeared at fund-raising functions for all kinds of community endeavours, and appeared on many TV music shows. By this time I was also (in my real job!) 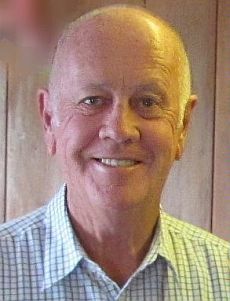 the CEO of the Queensland media credit union and so was often heavily involved behind the scenes with all kinds of entertainment activities. For example, the ABC TV series “Country Road (Hi to Owen Doyle), the Commonwealth Games entertainment (Hi Jenny from radio 4KQ), Expo88, etc etc. And of course not forgetting the first Gympie Muster in 1982 (The Webb brothers started it). My position as CEO of the credit union for 15 years also enabled me, through the CU, to assist many Qld entertainers with their personal, business and financial matters (I am also a qualified counsellor). But I digress! So, like most country / folk musos I learned to strum a guitar, learned to sing a couple of songs, and so always had a “party piece” or two up my sleeve. And then the fun started! In the early 1980s Ch7 TV ran a telethon, Kel Geddes the producer asked me to sing one of my “party pieces” (with a backing band! ), and all of a sudden the Qld music fraternity thought I was launching myself into a solo career … (wrong!) … but I have now been doing my expanded party pieces, from caravan parks to major concert venues, for over 30 years! I still find it intimidating and frightening being up front on stage, so different from hiding behind my drum kit! What a learning curve, but what a thrill when everything comes together! At the beginning of the 1980s music festivals really started to “get legs” in Australia and I became involved with that too. I was in fact the first chairman of the national festival judges association and held that position for over 15 years. Further to this involvement I was asked to write a technical reference book about festivals, so that is how my book “Reaching for the Stars” came into existence in 1998. Many people over several years made enormous contributions to the processes and systems espoused in that book – I just happened to write it! In the beginning there were some sceptics who doubted my skills (“as a drummer”) to be a credible adjudicator … after some 35 years, I believe I am now the longest serving festival judge in Australia! For example, in May each year, I am the judges’ co-ordinator at the Charters Towers festival. Originally over one weekend, but now over 10 days, TWO festivals are run back to back with some 800 / 1,000 contestants, between 25 / 30 judges, and some 15 categories of performance, it is really quite an event. Because of my links to lecturing in business studies at TAFE, I have often facilitated music related workshops at these festivals too. I hesitate to mention the next matter, but as a matter of public record in 2008 I was awarded an OAM … (Google has the details) … I have very mixed feelings about receiving this prestigious national award, but very thankful too. As an aside, Fabian Webb also received an OAM a few years before - two OAMs to the same music group! And needless to say how much of my story I owe to the fantastic support and love I always received from my wife Joan. She was always my rock and my support, but we sadly lost her to cancer in 2006. I owe her so much, and it so sad not to have her with me today. Yes, I still love my music, but it simply has not been the same for me over the last few years. Maybe I’ll get the drive to practice and perform again one day … maybe? … so until then, I am more than delighted to be with you all at various folkie functions … and clap!